The performer invites a couple of children up to assist him with his next effect. He warns the children that things might get a little bit messy. After they help him with the magic, he offers them a clean white towel to wipe their hands on, just to make sure they're clean. 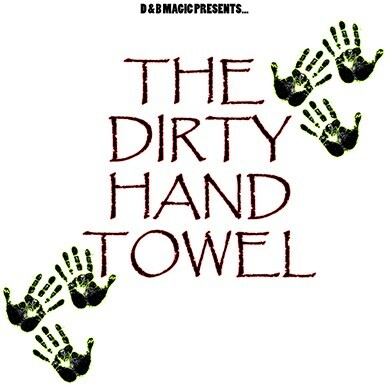 When he retrieves the towel and shows it to the audience, it's covered with small black handprints!